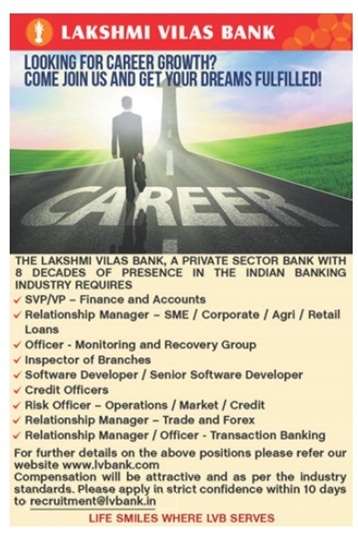 4. Credit Officers - Any Degree / CA & 3+ Years Experience, preferably from Banking. 6. Risk Officer - Operations / Market / Credit - Any Degree / CA& 3+ Years Experience, preferably from Banking.